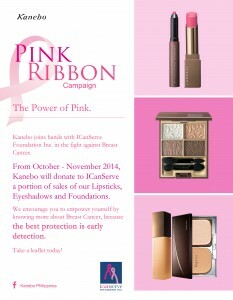 Kanebo Philippines joins the campaign to raise awareness this October and November. 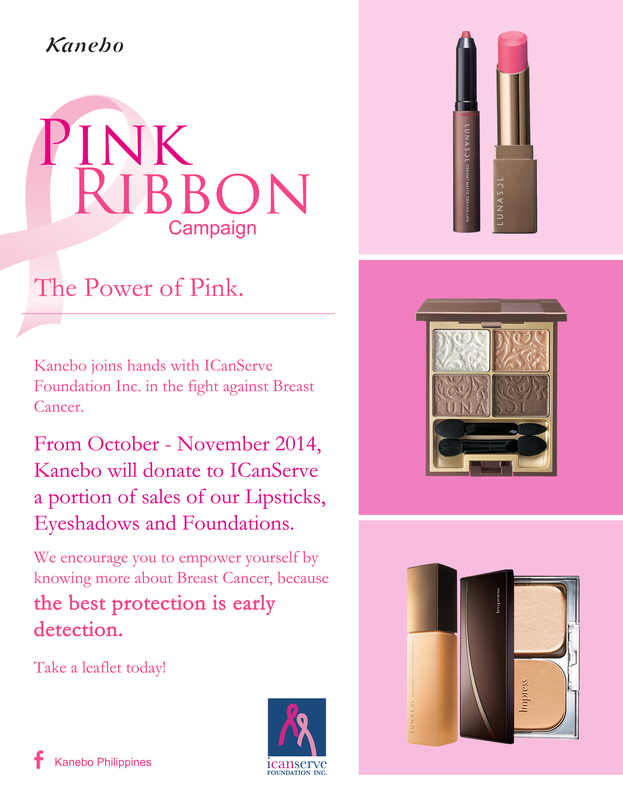 Kanebo Philippines will donate a portion of the October-November sales of its lipsticks, eyeshadows and foundations to ICanServe Foundation to empower more women with breast care information. Kanebo is the leading producer of high-quality skincare and makeup cosmetics in Japan. ICanServe Foundation leaflets detailing early breast cancer detection guidelines will be available at all Kanebo counters in leading department stores. The leaflets also present breast cancer facts and myths to enlighten women about breast health. Visit your nearest Kanebo cosmetics counter today.